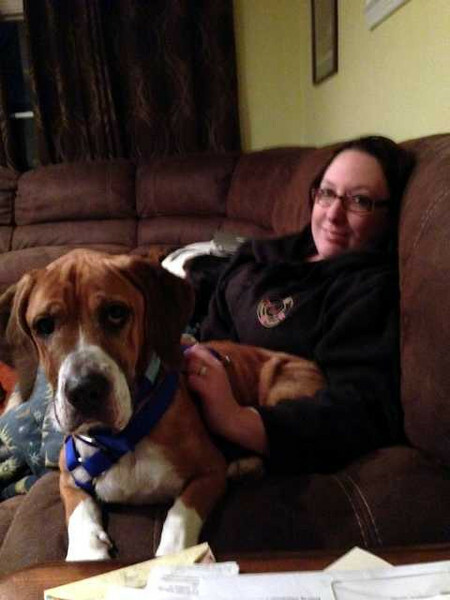 Siphera safe with the foster in Niagara Falls at the Morrison home. ABC Basset Rescue of NY . will put her up for adoption. She is a well balanced dog and was perfect on the flight. Friendly, alert, eager to sniff around (but no desire to run away like Holly did), good with the other dogs, not demanding yet affectionate. She will be a loving pet to someone. A real sweetheart.